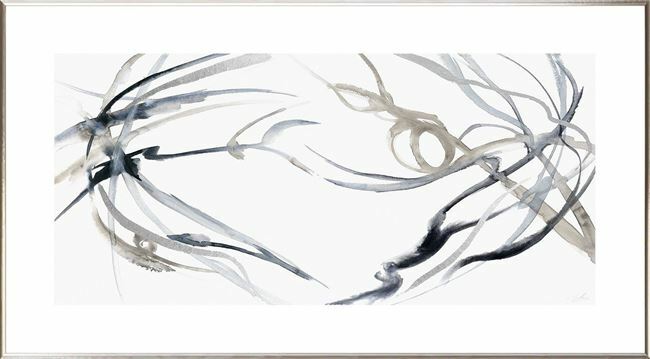 Lyrical water colour lines with tones of taupe and gray, accented with subtle strokes of gilded silver. Lyrical water colour lines appear to be set to music as the brush strokes play across the paper in Pearce&rsquos Outreach Entwined. Tones of taupe and grey are accented with subtle lines of silver gild. 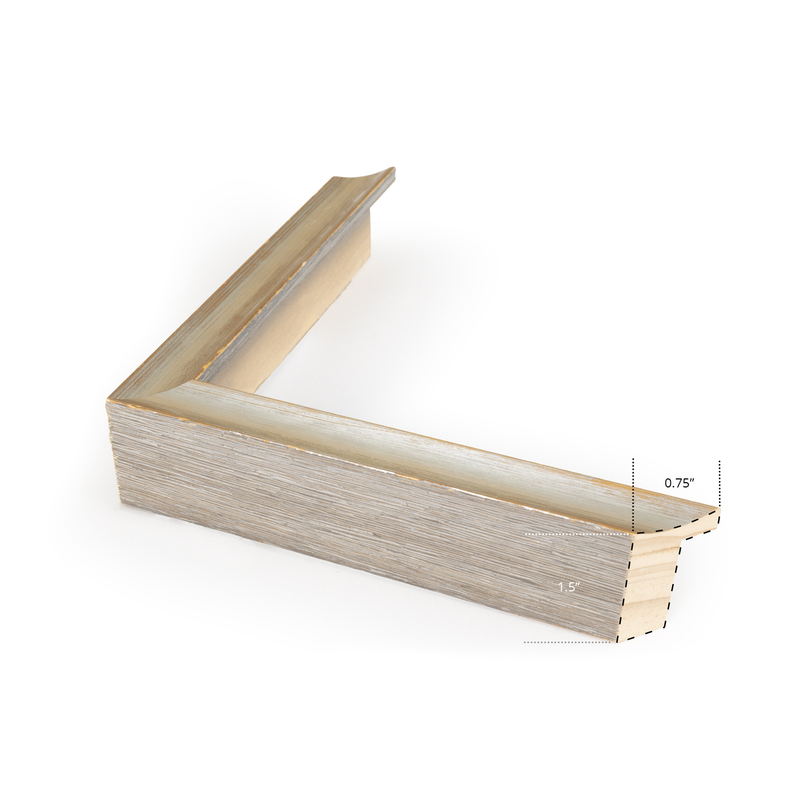 The piece has torn edges, raised image and deep frame space to make it a truly special. It is framed in a greyed wood profile with polished silver face.